Change your routine. Try something new, maybe join a new club or start going to a gym. With over 800 student organizations and endless resources and opportunities at UNC, there’s a niche for everyone. Breaking out of your comfort zone can be an amazing way to not only better yourself, but also meet new people. If there’s ever a time in life to try something new, the time is now. Who knows, maybe you’ll find a hidden passion! Make a schedule. Once you get into your routine, document it. 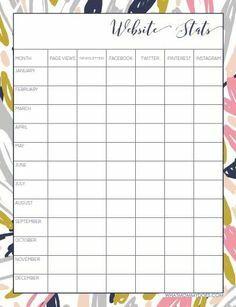 Use an online schedule maker, some pretty fonts, and bright colors, print it, and hang it on your wall. This way, you don’t need to scroll through your screenshots every Monday to figure out which room number you’re heading to or what time your gym class starts. Pinterest has some cute templates and inspiration! Clear the air with your roomie. Maybe you and your roomie didn’t get along as well as you hoped. Truth of the matter is, you have a whole semester left together, and it will be much easier if you guys are on the same page. Clear communication is the best way to make your expectations a reality, so strike up a conversation! Redecorate your dorm. This is the space that you probably spend a lot of time in, so it can be rejuvenating to give it a refresh! This doesn’t require intensive crafting, it could be as simple as printing some new pictures to make your room a little more homey. 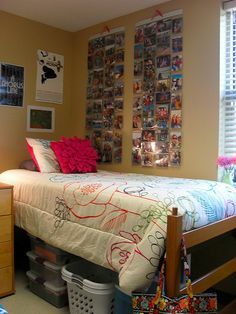 Be sure to capture some of those mems you made last semester on your walls!! Yet again, refer to Pinterest!!! Set your goals high. 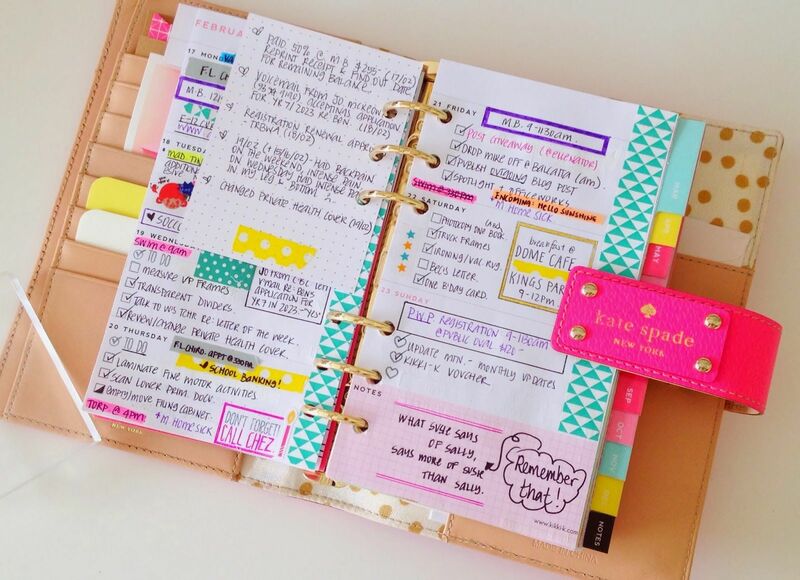 Make goals (and write them down) to keep yourself on track. Think of this like New Year’s Resolutions (that you’ll actually keep) for your academics. Maybe it’s to never skip class, or actually keep up with all the course reading. The key here is to make them attainable rather than astronomically unrealistic, this will make you feel amazing when you reach them, and your GPA will thank you! Beat procrastination early. 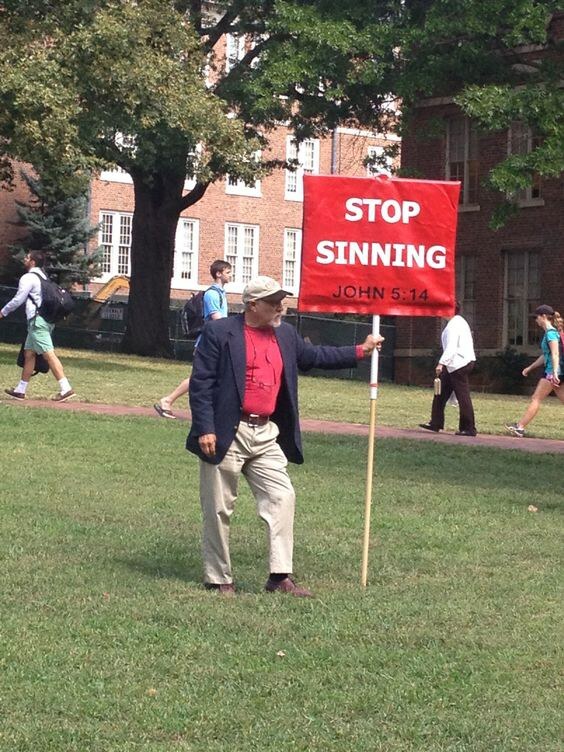 Don’t let syllabus week be an opportunity to slack off. Prepare all your work while you have the free time and set the tone for the semester. You’ll be much better off with #6 if you do this! Maybe it’s your second semester, maybe it’s your eighth – regardless, this semester still brings about the opportunity to make it the best one yet. Have a positive attitude and Summer break will be here before you know it! This moment when everything hits you is a stressful moment. You’ll feel like your all of the sudden carrying the world on your shoulders. You open your agenda and realize that it is simply impossible to study for your astronomy exam tomorrow while also completing that English paper and math assignment. Try not to let the stress get the best of you, because it only makes the situation worse. It’s not impossible, you are much stronger than you know and you got this!! “I will not pull an all-nighter tonight. I will NOT pull an all-nighter tonight…” you repeat while chugging your first Starbucks double-shot espresso of the night. If you get started right now and spend two hours on each assignment, you still have three hours left to power nap… that will work, right? Maybe this is just me, but when I get stressed, I LOVE to procrastinate. Whether it’s making lists of everything I need to get done or scheduling down to the minute how much time I should spend on each assignment, I’m the first to admit I’m the queen of procrastination. And if you’re pulling an all-nighter, it’s probably some form of procrastination that got you in this situation in the first place. It’s easier said than done, but avoid this step at all costs. It’s toxic, and at this point time is money. The denial phase never really lasts that long for me, reality typically sets in within the hour. The clock is ticking and that deadline is not moving, so at some point you have got to get serious. Grab another Starbucks and settle into your fav study spot (10/10 recommend the study lounges in your residence hall, then when you’re done of your torture you don’t have to leave the building before dashing to class), because it’s going to be a long night. Maybe you’ve had three energy drinks too many or maybe it’s just way past your bedtime. Regardless of the catalyst, the phase really makes it challenging to be productive. You were on such a roll and then all of a sudden, your brain turned to mush and you couldn’t think straight. At this point I typically abandon my perfectly color-coded schedule from phase three and switch assignments – maybe you can get back on track with some differential equations. Here you will face the greatest test of will power in existence – don’t give in. You’ve come this far, don’t ruin it with a ’10-minute power nap’ that you’ll never wake up from. Grab another energy drink and when it sends you into delirium, repeat phase 5. Hitting submit on Sakai is one of the proudest moments you’ll experience, at least for that 24 hours. Now it’s time to truck to class and compare your all-nighter with your classmate’s while counting down the hours until you can go home and climb in that oh-so-cozy bed. While the all-nighter is the worst, the next sleep is the best, most rewarding feeling. 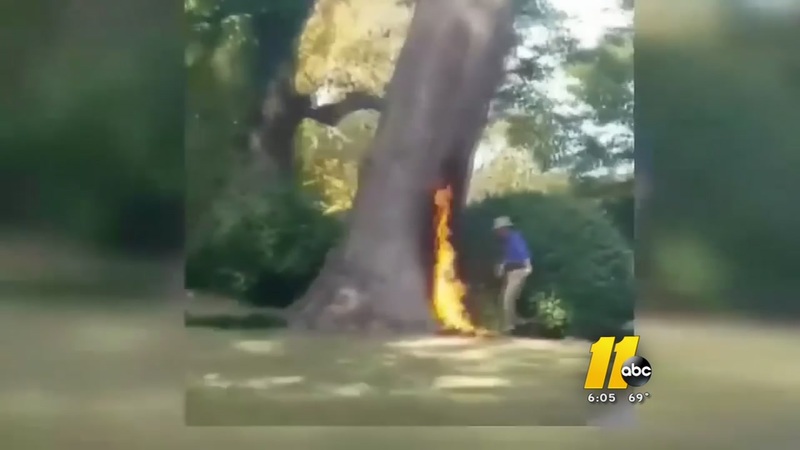 During finals season if you fall into this situation… good luck Tar Heel. 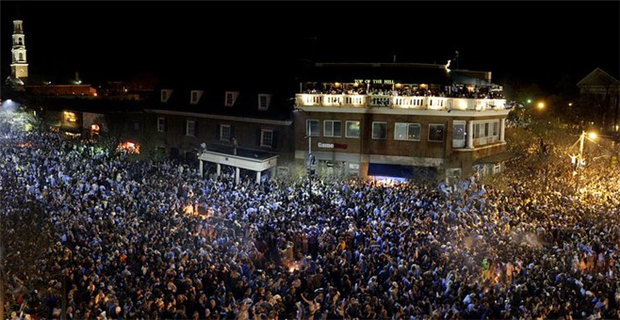 UNC First-years and South Campus make up an iconic duo matched by few. While living on South Campus may have it’s pros and cons, there’s one thing that’s for sure – if you’re going to live on South Campus, you better put on your walking shoes. As a Hojo vet, I’m here to give you all the inside deets on your future commute to class. Okay, so your room isn’t exactly located right next to your classes, but chances are your house wasn’t any closer to high school. Depending on where you’re going and how fast you walk, it will probably take somewhere between 12 – 20 minutes to get to class (you’ll learn your own art of slimming it down as much as possible so you can get those extra seconds of sleep before your 8am). You can get to any Franklin Street essential in under half an hour by foot – and that’s a pretty generous number, it shouldn’t take you that long. Franklin Street is the most northern part of our campus, everywhere you need to go should be somewhere between the Dean Dome and Franklin Street. That’s less than a two-mile span. So while it may seem like we have a dauntingly huge campus, you’ll get used to it super quickly and it will seem like nothing in no time! Personally, I loved getting my steps in and making the hike to class every morning – but it’s not for every one or every day. Just like you weren’t forced to walk to school in high school, you certainly aren’t forced to walk to class in college! The Chapel Hill Transit is a resource that is FREE to all Chapel Hill residents and it will be your best friend, especially on a rainy day. 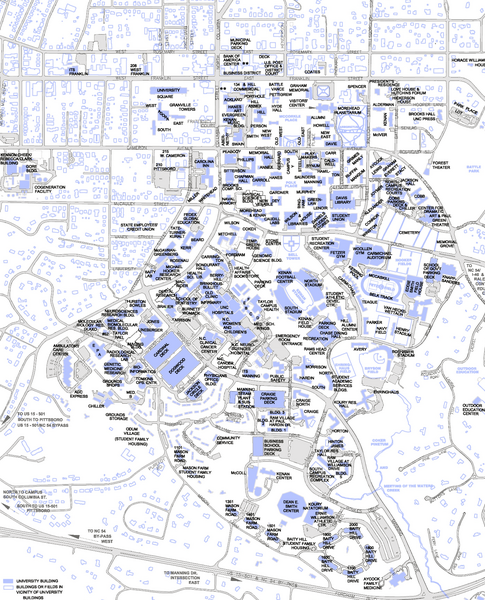 There are a lot of buses and it seems scary at first but we’ve all been there, clutching our suitemates on our first bus ride, unsure if we would be getting off on Mid-Campus or Mid-Raleigh. Fear not, because most of the buses you don’t pay for don’t leave the Chapel Hill-Carborro area, so worst comes to worst you’ll be back at your original stop within an hour. The only buses you need to know about immediately are the U and the RU and they both make a big circle around our campus in opposite directions. The P2P is like the night owl version of these, operating from 7pm to 4am to satisfy whatever late-night adventure you’ll be going on. Download Transit (includes the P2P) or NextBus (a little more user-friendly in my opinion) and you’ll be set! You can even follow your location on the app while on the bus so you know exactly when to get off. When it’s time to get off the U or RU, pull down the yellow cord to ‘request a stop’. Fore even more about buses, read this! Whether you bring your own bike to campus or not, you can bike to class! Yep, you read that right. Thanks to the handy dandy Tar Heel Bikes, you can find a bike rack near you, bike to your class, and then drop it off at a rack near your destination. Warning: UNC is notorious for its uneven bricks. Which, as you can imagine, doesn’t mix particularly well with two-wheeled vehicles. But that really doesn’t stop the large portion of the population that loves to bike around campus. In my opinion, this method requires a lot of skill and talent that I just don’t have – but hey, it’s an option! Trying to decide whether you need to bring your own bike to campus? Read this! If you make the same commute every day at the same time, chances are you’ll start recognizing the faces of the people around you. Make friends with them – it makes the walk go by way faster! If you’re in a primarily freshman class, ask a classmate if it’s their first class of the day. If it is and if they’re also coming from South Campus, this can be a super helpful way to get a study session in without noticing it. Okay, I realize how nerdy that may sound, but seriously, sometimes you don’t have time to meet-up outside of class to discuss things you’re confused about and it can be incredibly helpful to have someone catch you up on classes you may have missed. Another reason to make a friend for the commute? You’ll have someone to check on you during those inevitable ‘one or two’ mornings you oversleep. Maybe that “you coming?” text won’t pull you out of your deep slumber, but it’s better than nothing. Don’t go home multiple times during the day if you don’t need to. Stay on-campus during breaks between classes, or the time between classes and evening extra curriculars. There are a billion locations calling your name to be your home for the next hours, let them! The union, one of the many libraries, the quad on a sunny day – you name it! Not only does this save time and energy, it also allows you to crush procrastination. You’ll be more focused to get work done when you don’t have your cozy bed enticing you to climb in and watch Netflix. Or maybe you give up and take a nap in the UL, it happens to the best of us. 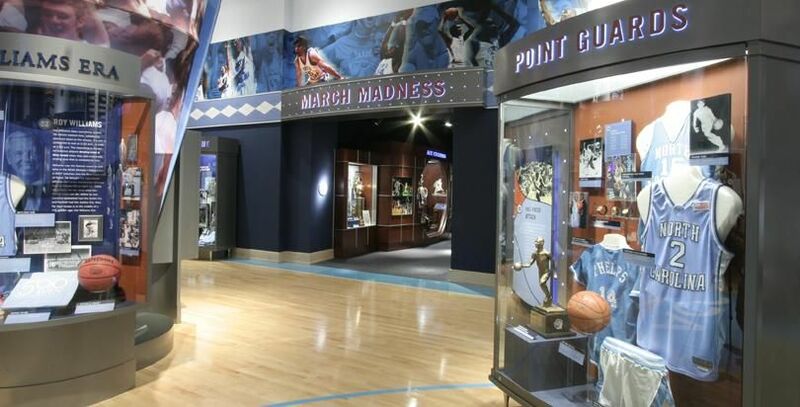 The Dean Dome – South Campus is home to my personal favorite on-campus location, the glorious Dean Smith Center. That means you can get there 20 minutes earlier than your upperclassmen friends to snag that front row spot on the risers! STEPS! – With the hike to class, you’ll hit 10,000 steps in no time. Who needs a gym when you’ve got your commute to burn your cals! Next year, you can’t get further from classes – Excluding the B-school, there’s literally no dorm further from your classes than those on South Campus. So if you stay on-campus, the commute will never get any longer. Even if you’re in Morrison which is just up the hill, you’ll save a solid five minutes not having to wait for that pesky intersection. Meeting people – as described above, this is a great way to meet up with people outside of classes. Who knows, maybe you’ll meet your future bridesmaid on your walk to class! 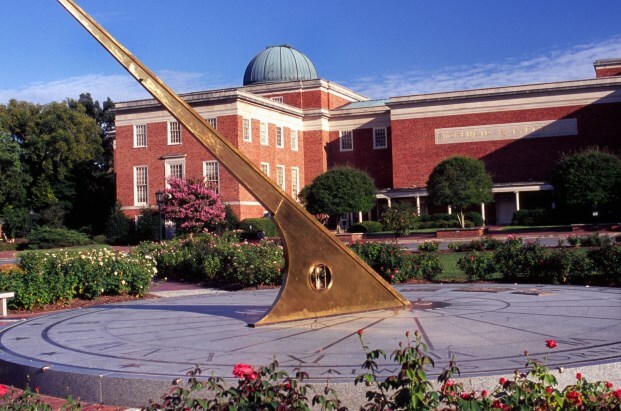 Free daily tour of the campus – UNC is a beautiful campus, so consider yourself #blessed to get to see the scenes on your walk to class! South Campus is a super fun community filled with eager freshman, which totally makes the commute worth it! I have so many incredibly memories associated with South Campus and I know all of you will love it just as much as I did! Okay, obviously this is a big one. Being only eight miles down Tobacco Road, we run into these guys a lot. And they’re the absolute worst. I’m not going to go into a lot of depth here because I’m sure you all know lots about this rivalry, but if you don’t: here are some resources to study up. 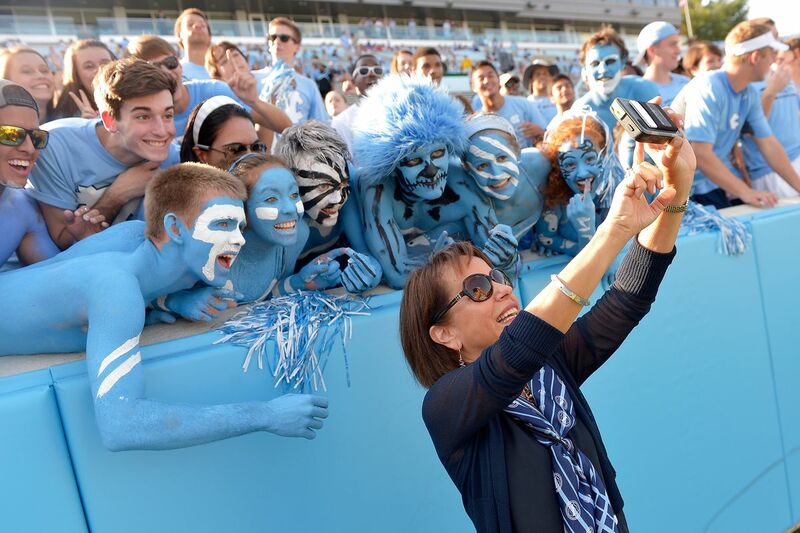 Hating dook is a rite of passage here at UNC, if you don’t… “you can’t sit with us”. Before the Blue Devils there was the dreaded Terps (honestly #blessed that our mascot isn’t a terrapin, how unfortunate). This rivalry began in 1954, when the Heels used to play men’s basketball in Carmichael arena. While I can’t say I ever personally witnessed this rivalry, it existed when Maryland was one of the most competitive teams in our conference. Upon leaving the ACC in 2014, we began to forget about the Terps. However, women’s lacrosse still has major competition with this school, as they often face each other towards the end of post-season. 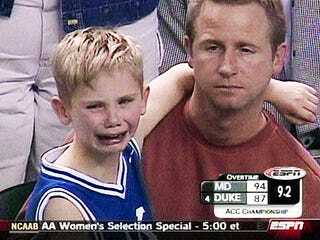 Ha… the ultimate source of heartbreak and tragedy are the Villanova Wildcats. Let’s set the scene. April 4th, 2016, the National Championship game. Looking like an impossible victory for the Heels, there was 14 seconds left and we were down by three. Through some form of twisted miracle, Marcus Paige made the craziest three-point shot that probably would have never gone in without the pressures of this being a national title game. So now there is four seconds left in the game and the Heels are thinking there’s no way the game doesn’t go into over time… right? Wrong. Villanova answers back with an immediate, buzzer-beating three silencing all Heels across the nation, and cuing immediate yellow and white confetti. The title was dangled in front of our face and then immediately ripped away. 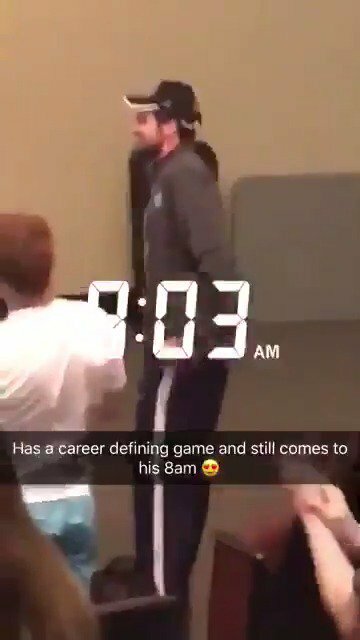 Marcus’s miracle shot, may or may not have cried while reliving the horrible mems to get deets straight for this post. So this one totally comes from a place of personal hatred, and the average Tar Heel probably wouldn’t consider the University of Miami our rivals at all – but I’m bitter so I’m going to share. It was February 27th, 2018, Joel Berry and Theo Pinson’s last game as students in the Dean Dome. While Miami has a decent team, being senior night and going into the NCAA tournament, we should have beaten them with no problem. As you probably assumed, this wasn’t the case. Now maybe I’m a sore loser, but it was the worst possible way to lose – you guessed it, a buzzer beater. A very ‘Nova-esque situation: it looked like we were going to take a defeat, but our hero Joel Berry hit the perfect 3-pointer with only five seconds left in the game that tied it up. Thinking we were going into overtime the crowd went nuts – and an instant later, total silence. It was over, they somehow managed to answer with a 3-pointer in under 5 seconds. The next day some Miami fan had the audacity to make a geofilter for the UNC region about a “hurricane warning”… Soooo yeah Miami isn’t technically a rival, but I really hate them. Ugh. This is a very one-sided rivalry (hence why it’s last on this list), but you need to be prepared because you’ll definitely run into it. I think from State’s perspective, they hate us as much as we hate dook. Which I’ll honestly never understand, but that’s the way it is. The Wolfpack is a very… passionate… group of people, and they are very outward about their spirit. They really, really hate Carolina, and love expressing this hatred. The best way I know how to describe this relationship is that State is like our annoying little brother that’s always trying to start something. So people will often call our matches ‘rival games’, which may be the case on their end, but for us – we know that Dook is the real target.